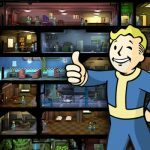 This is the second part of this particular Fallout Shelter guide, and in here, we shall be offering more tips and suggestions on how to get yourself more power, water, and food. 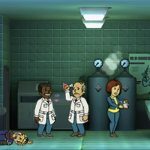 But before that, let’s give you a brief backgrounder on the game – it’s mainly about resource management in Fallout Shelter, as you manage a community of dwellers, keep them busy by giving them jobs, and make sure they remain happy and productive at all times. And this all happens in a state-of-the-art vault that serves as a shelter from the dangers of the outside world. 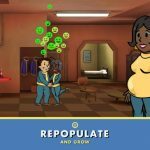 So with that said, let’s bring you this second batch of Fallout Shelter tips on how you can get more resources – food, water, and power – for your dwellers. To reiterate one of the general tips we suggested a few days back, it will sometimes be worth it if you send some dwellers outside of the vault so they can explore and look for resources. Ideally, the longer they explore the wasteland, the better the chances of them coming back with some resources. However, there are also some risks to having them out there for too long – overexposure to the wasteland could end up killing them, so you wouldn’t want to leave them exploring for too long a time. Sometimes, you’ll have to deal with dwellers who aren’t cutting the mustard. And that would mean you’ll have to replace them with dwellers with higher-rated skills. Here’s how you can get rid of these underachievers. First, place your underperforming dweller in a production room, and execute the rush command. Keep on rushing and failing and don’t do a thing as the dweller tries to fight fires or Radaroaches without any help at all. This will eventually reduce their health and kill them, and since you have a choice to revive them, it goes without saying that you shouldn’t. Unfortunately, some of your better-performing dwellers may meet their end, either dying in a fire or getting killed by Radaroaches. 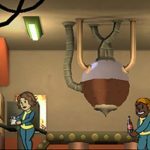 Those are the dwellers you want to revive, and you can do this by spending bottle caps. Now, you don’t always have to kill underperforming dwellers – you can simply place a better performer in an area where their skills will be maximized and your water, food, and power supplies will also benefit accordingly. Doing this will automatically replace the dweller who has the poorest skills and make your community more productive as a result. Different outfits bring special stat boosts to your dwellers, so you’ll want to look at your dwellers’ stats and equip them with outfits that further accentuate their strengths. Here’s a quick and simple example – since the diner is manned by those with good Agility numbers, it would be best to equip someone working over there with a suit that improves their Agility rating.